“The birds sleeping on the rock of the Lindos Acropolis shall not go away.” This was one of the main concerns of the scientists while conducting the study about the new lighting of the celebrated archaeological site on Rhodes. That is why, among their proposals presented on Tuesday, March 19th, at the meeting of the Central Archaeological Council, was that the rocks of the Acropolis facing the sea shouldn’t be lighted, in contrast to the walls enclosing the top of the hill, which will be enhanced according to their historical phases. Moreover, the ecological interest of the researchers “smoothed” the comments made on behalf of the Directorate of Conservation of Ancient Monuments and by members of the Council that this way the monuments of the rock look like they… were flying. Besides, a dimmer lighting on the fortification walls would reduce this impression, as it was pointed out at the meeting. The study, which was approved by the Council members, will substitute the existing lighting, which apart from being old and unsuitable, causes light pollution and consumes too much energy. According to the researchers, the new lighting will contribute to the better “narration” of each monument’s history, showing respect to the ecological balance of the site, as apart from the concern about birds the lighting will be energy efficient. Lindos is the most significant archaeological site of Rhodes, its main features being the rock and the acropolis. 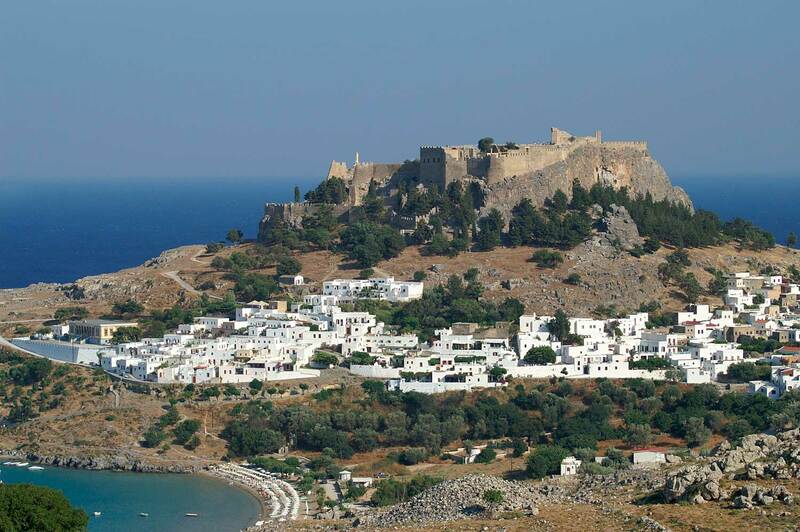 According to tradition, Lindos was founded by the Danaides, the 50 daughters of Danaus, who came to the island from Egypt, and built the temple of Athena Lindia. The ancient city, which was located between the acropolis and the Cape Krana, where the modern village lies today, flourished during the Archaic period (7th-6th century BC). The sanctuary of Athena (whose worship started in the 9th century BC) on the Acropolis of Lindos remained a famous cult centre not only during the Hellenistic but also during Roman times.